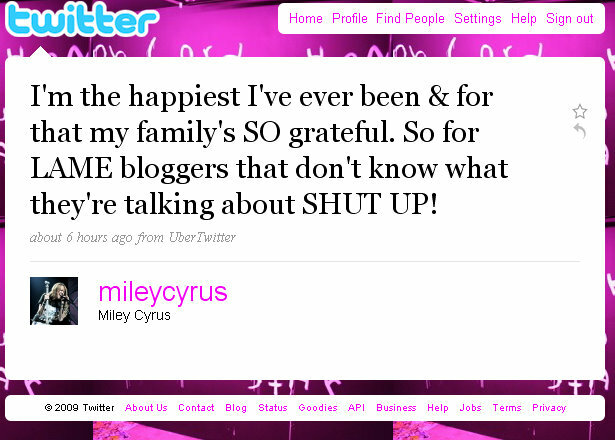 Miley Cyrus Gets Feisty On Twitter - Tell's Lame Bloggers To "SHUT UP"
And apparently it was a “lame blogger“. Man… what are we going to do with those blogger? 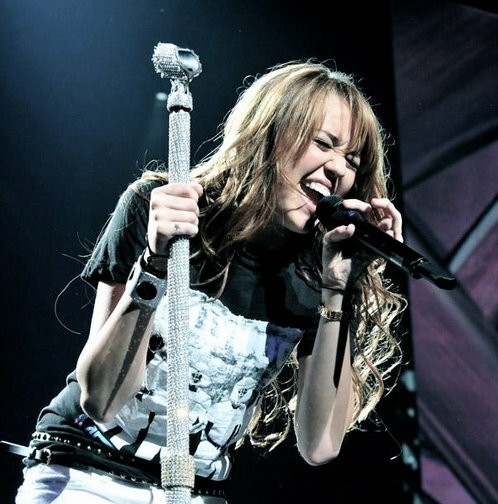 hey Lisa – I never said that Miley said anything… you need to find the blogger that said those things and go hammer him or her. But thanks for stopping by anyway – I do appreciate it!